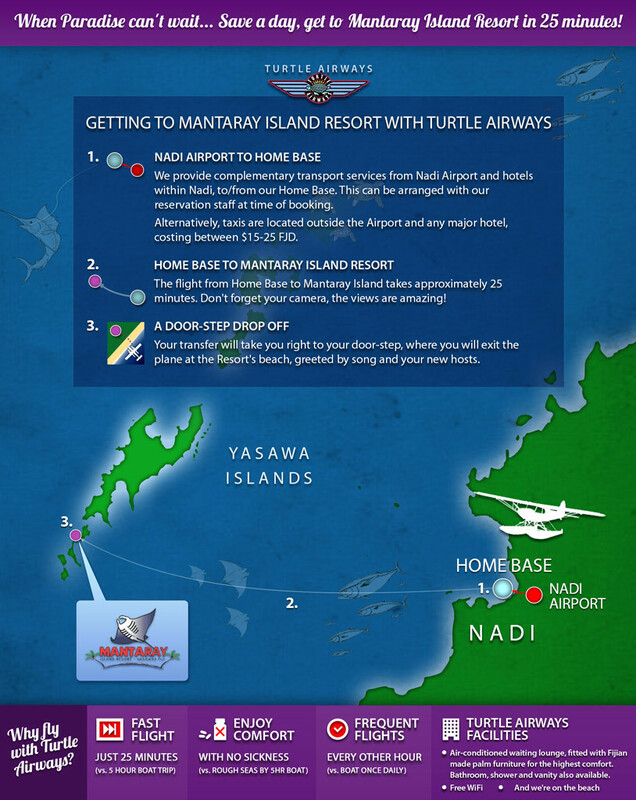 For Turtle Airways, the sky isn’t the limit, the sky is home, and guests to Mantaray Island Resort will love a guided tour of Turtle Airways’ backyard during their seaplane transfer. During the months of May to October, guests can become acquainted with the very sea creature from which Mantaray Island Resort takes its name (mantaray trips leave every day). 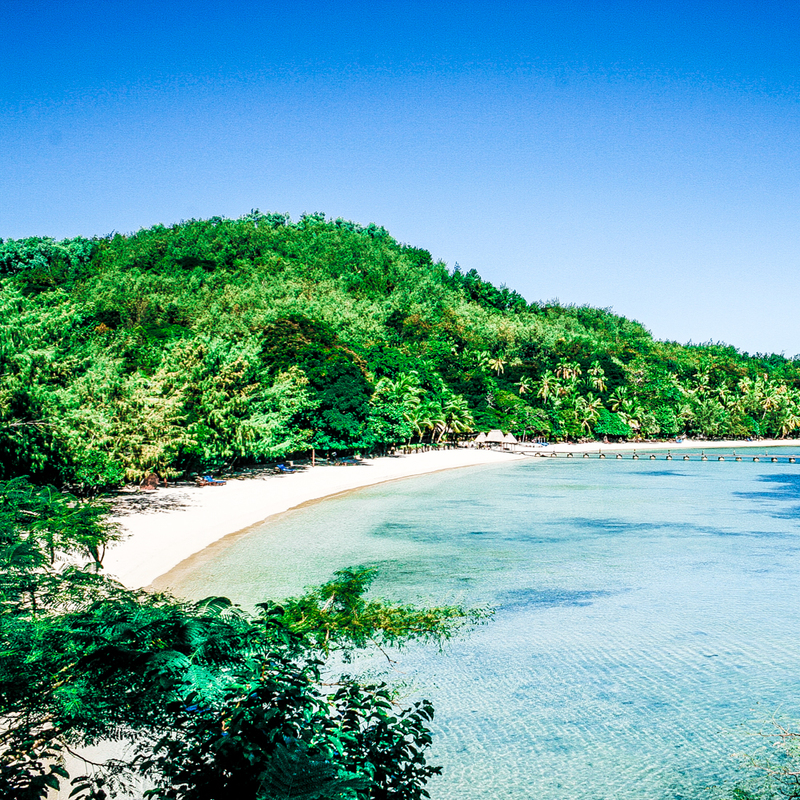 This can be done either by scuba diving through the inhouse dive school, or by free diving (Mantaray boasts Fiji’s only accredited free dive school), and very few other resorts can boast 40 dive sites within 20 minutes travel time. Atop the water, guests will enjoy listening to beats and relaxing with a cold drink on the Mantaray Island Sunset Tube Cruise, or paddling around in a kayak, the perfect setting for this. Back on the island, the beach has never held so much interest: watch hilarious crab racing, fire-stare around a bonfire, or marvel at the fire dancers during a traditional song and dance ceremony. For something different, you can even book a cooking class and learn the traditional Fiji dish ‘Kokoda’, making the most of an abundant supply of local fresh fish. 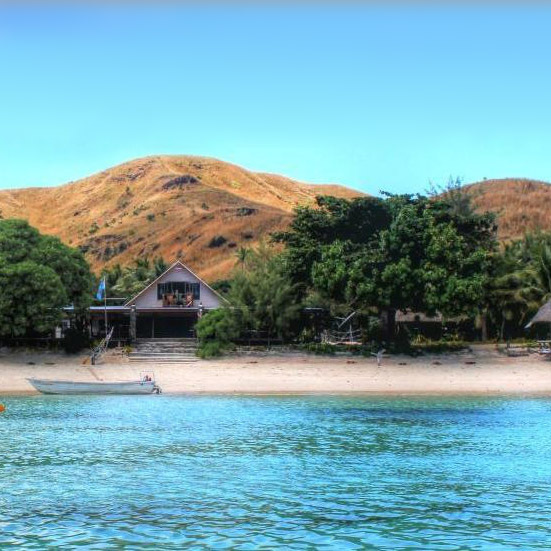 Take a daily tour to Soso Village (the largest in the Yasawas) and mingle with friendly villagers, many of whom form the backbone and lifeblood of Mantaray Island Resort, a truly authentic Fiji village experience.